I used to be a vivid dreamer. I don’t know what a psychoanalyst would say about this, but I had a constant companion in my nighttime capers – a penguin named Pingy. He wore his hat backwards and always had on sunglasses hiding bloodshot eyes. He was a bad seed, that Pingy. One of those affable, fun-loving friends who always seems to get you into trouble. Half of my dream life was spent rescuing him… often from the law. It has been a long time since he has visited me. Life has a way of clouding out frivolous dreams with its deadlines and demands. When I was a boy, I dreamed of being a third baseman for the Cincinnati Reds. Somehow, Johnny Bench, Tony Perez, Joe Morgan and Dave Concepcion, although in their forties, would still be All-Stars and welcome this rookie into the fold. Together we would form a dynamic team – The Big Red Machine, Part II. Fame, riches, women… they would all be mine. At that age, I likely had no idea what the women were for, but I understood better as I got older. For the record, a vivid dreamer who is also a sleep-talker can be a dangerous combination for a newlywed. Yes, we are still married despite this. In all my dreams, I never dreamed it would be like this. For so long, I had it good – The American Dream. A good job, nice house, two cars, lovely wife, and an endless stream of kids we couldn’t seem to figure out how to stop. We’ve never been rich by U.S. standards but I’ve had the privilege to serve outside the country in some poverty-stricken nations. There I found that middle class in the U.S. is a king’s life in most places. Even through the hectic weeks, you often realize that you are living a dream – and it’s a good one. That although the major leagues never came calling, things have been set up pretty nicely and bonus – you don’t have to deal with any pesky rotator cuff pain. You understand that you have more love and beauty in your life than any man deserves. Four little sets of eyes look up in awe and reverence and call you daddy. They color pictures of you with a stick body and oversized googly eyes. For a time, they even wait excitedly for you to come home and mob you when you finally arrive. It was a good dream. But just like any, you have to wake up. But I never dreamed it would be like this. I never dreamed tears would become a part of my everyday life – whether I see them, wipe them, cry them myself, or stifle them. I never dreamed I would see my little girl in such pain, hear the word cancer, and watch her carted away for surgery after surgery. I never dreamed I would be so helpless. I never dreamed my beautiful daughter would be bald. I never dreamed that childhood cancer is sometimes incurable. I assumed sick kids got better. I never dreamed I would plead and bargain with God only to receive a resounding ‘No’ as I knelt beside the bed of my sick daughter on her last day on earth. I never dreamed I’d be such a loser – because this is losing. I lost regardless of whether I had any ability to affect the outcome. I never dreamed I would walk down a corridor and receive so many looks of sympathy. I never dreamed sleep would be so hard to come by… that I would become afraid to dream because dreams are either fading images of the former good or nightmares of the current emptiness. I never dreamed one of my children would be relegated to photographs and memories. I never dreamed life was this fragile. September is Childhood Cancer Awareness Month. Cancer is a rabid thief. It steals many dreams. It stole Kylie’s dreams of performing on Broadway, painting a masterpiece, driving a car, falling in love, and having her own family. It stole our dream of watching her blossom. While vast sums are spent by the United States Government and the American Cancer Society on cancer research, very little goes toward childhood cancer. There is a common misconception that adult drug therapies will trickle down and work for children. Unfortunately, that is rarely the case. In the past twenty years only three drugs have been approved by the FDA specifically to fight childhood cancer. This has to change. We need safer and more effective treatment for our children and that will only happen if we join together and demand it. My dream is now for your children. Hold closely your dreams. I pray you don’t wake to my reality. Hugs and Hugs for you! You’re a wonderful writer. I’m so sorry for what happened to Kylie and your family. I bought a yellow coat when she passed to remember her and to remember to smile, hard as it is. Thank you Heather. Seems like I have only bought yellow clothes this year! 😦 😦 You don’t know me but Kylie and you have changed my life. No parent should have to feel so helpless. Shame on us all in the United States for letting our lawmakers do so little for our youngest in distress. Like you said, your reality could be the reality for any of us parents and grandparents. 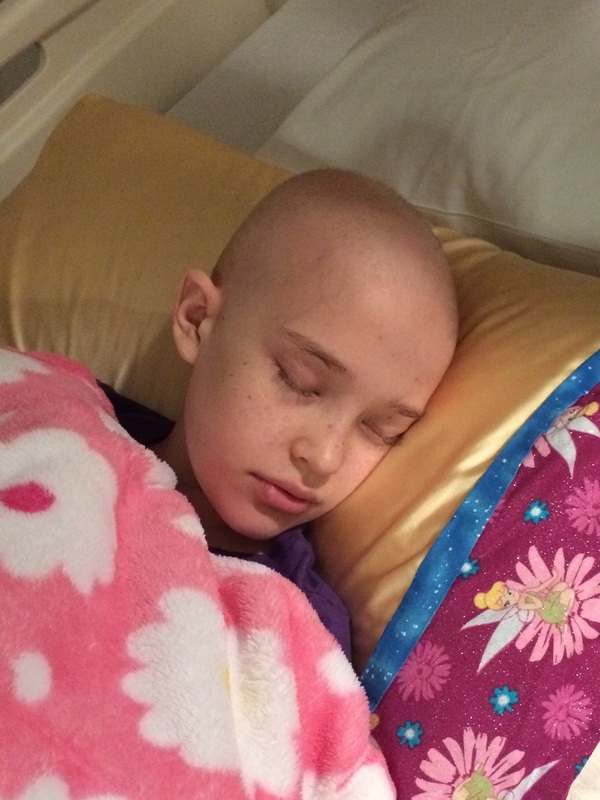 Shouting it out, writing our lawmakers, donating, never stopping in Kylie’s sweet name. Thank you. We will keep working for that because Kylie told us to. hugs to you and know i support your dream of ending this horrible disease especially in children. Thank you, Beth. That means a lot to me. Mark, I am friends with your parents and live here in Missouri. I have followed Kylie’s journey from the first time your mom announced to our drama group, “My granddaughter Kylie may have cancer.” Your previousprecious baby left this life in February. I hurt so much for you. I cried. And then the “unthinkable” happened… my son (age 25) died in his sleep in mid – March. Now every blog you write, I nod and say, “Yes. It’s like that.” I’ve also learned that there is nothing else to say, but “I’m sorry. I’m so sorry.” I’m praying for you, you wife, your daughters, your parents… everyone. Thank you for writing your blogs. They are helping to heal my heart, also. Karen, I am so sorry for your loss. You are the second person I have had to say that to today. It’s a messed up world. I’m glad you find what I write helpful. It helps me to write. I pray for healing for both of us. Take care of Marge, will you? She’s a handful! I am the worst phone typer and autocorrect gets me all the time. I honestly didn’t notice. If we intend to change things, people who haven’t been drafted but still care are so important. Thank you for volunteering! Thank you for your post. I’m so sorry. I’m sharing your post with my friends to help others understand why I go GOLD every September….and why I organize pillowcase sewing events and go crazy trying to fit family, school, church and community service into some vague resemblance of order. (P.s. Love the pillowcase! Looks like one from ConKerr Cancer). She loved that pillowcase too. A friend made it for her. Thank you for going gold and helping. That is wonderful! Thank you for your prayers, Hillary. We sure need them. Last year in February I lost a friend who meant more than the world to me. Not from cancer but suicide. When I found your blog after Kylie had passed away I found someone who put words on my feelings, I can’t imagine loosing a child, all I know that the loss I am dealing with is a hell on earth. And you word it so well, your blog has more than once kept me going. I’m so grateful that you share this with us and let us know that there is still hope in this world. And I’m going gold for all the families who should never have to go through this. That means so much to me. Thank you for sharing it. I am sorry for your loss and I pray you find peace somehow. I understand how elusive peace is for us both.